Can’t get the job without the experience. Can’t get the experience without a job. Sound familiar? During my last year of university and post-graduation I made more cover letters and resumes than I can account for. Although I did have some experience from my university co-op program, I was still not cutting the three to five year minimum. I quickly realized that just going through the motions of job searching and applying was not sufficient. I needed to do something different. I faced the fact that networking was going to be my stepping stone to success. I was nervous to say the least but I managed to prepare myself and go into these opportunities confident and sincere. I have connected with a number of people that would never be on my radar if I didn’t step out of my comfort zone. As well, I have seen the importance of getting involved. There is always someone to network with at a volunteer opportunity or lunch-and-learn. These are the opportunities that will help guide you into a career. 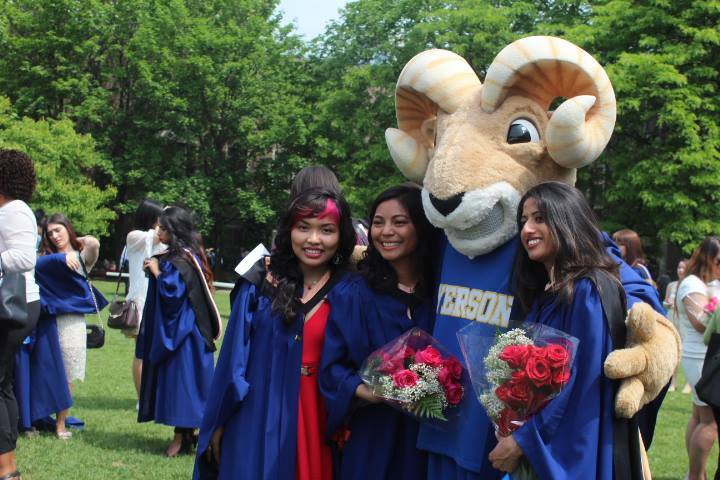 I couldn’t have been happier when I stumbled across the RBC Career Launch Program. I have earned an exciting learning experience with incredible networking opportunities. Although I am still job searching (my program is only secured for one year), I am more confident in what I am searching for and I see my skillset in a new context. This isn’t something simple to determine, it takes focus on your strengths and interests and what makes you, you. But if you can begin to build your brand and market yourself now, this will open new doors. In addition to networking, it is critical to build relationships with the people around you – you never know when they can lend a helping hand or introduce you to someone else who can help. In addition, finding a mentor is a great way to assist you in growing and progressing in your career. I would have never received my job now if I didn’t take the risk to work at a bank – somewhere I never saw myself working, quite honestly. Be open to new experiences and opportunities, you never know where they could lead. The job hunt takes perseverance and motivation. Learn from your rejections and step out of your comfort zone, it’s all part of the process!